Patrick Gibbs is known for his carefully observed and emotive paintings. Inspiration for his paintings comes from his extensive travels around the world. 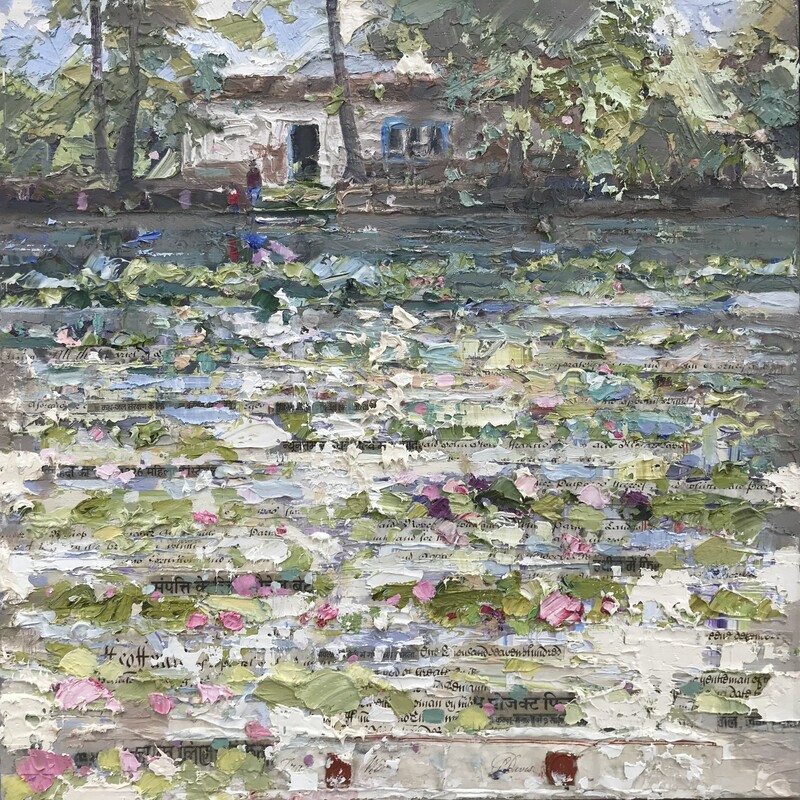 He excels at painting everyday scenes in exotic places such as Cuba, Madagascar, Kerala or Zanzibar, but he is also an accomplished painter of portraits and landscapes. He paints whatever inspires him and the result is a collection of artwork of outstanding quality and variety. 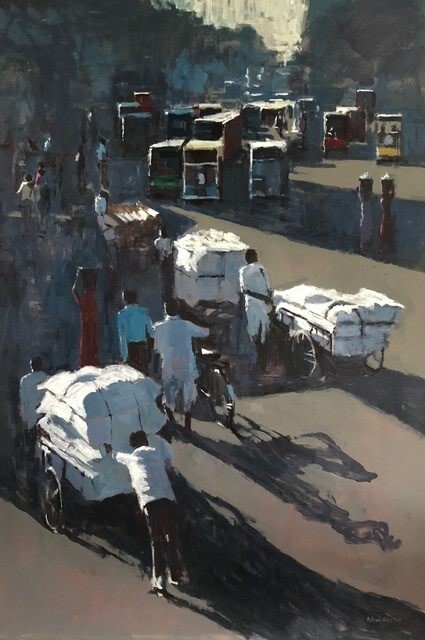 Paul Treasure's work is also inspired by his travels, such as his recent trip to India, with his wonderful expressive and energetic style which bursts with colour. He dramatically interprets his landscapes using bold palatte knife techniques, brush strokes and mixed media which produce hiscolourful textured landscapes. Paul also paints English landscapes and the ever changing seasons, water, weather and light. The Private View for this exhibition is on Friday 7th September 2018 between 6-8pm and promises to be a visual treat. 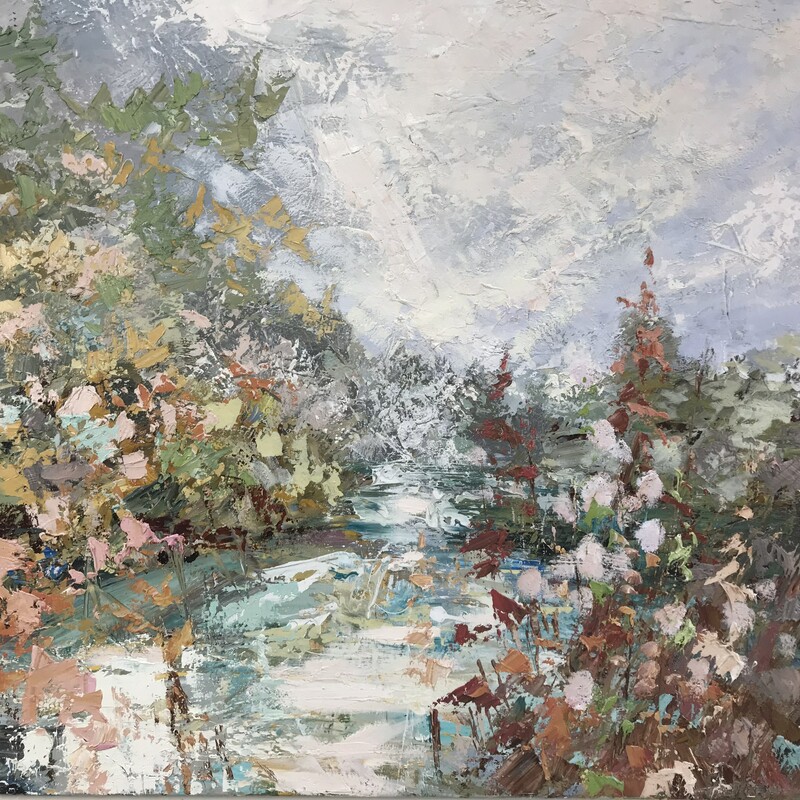 Gerald Dodson is the proprietor of the Wykeham Gallery, a leading contemporary art gallery in Hampshire in the beautiful village of Stockbridge. Located midway between Winchester and Salisbury his quaint gallery exhibits paintings of all media, an extensive collection of bronze sculpture as well as ceramics and glass.